Providing a stage for nationally celebrated leaders to share insights and wisdom. Our Purpose: Leading and serving in the moments that matter most for the people of Dallas. Advancing the visionary initiatives that have led to significant progress for our city. Leading and serving in the moments that matter most for the people of Dallas. 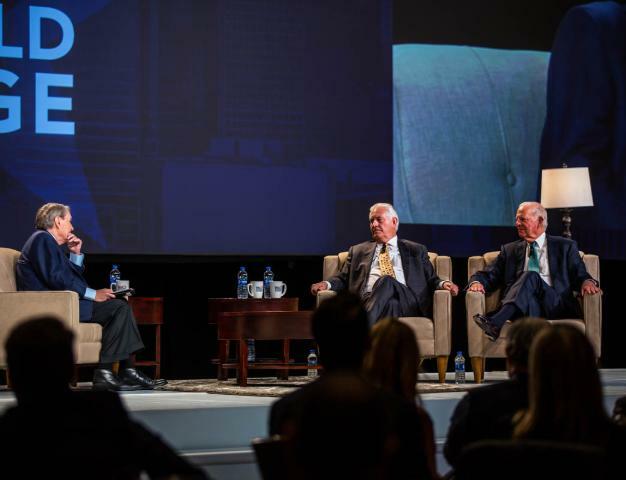 Dallas Citizens Council is comprised of the area’s CEOs and top business leaders who provide guidance on the policy issues that will move Dallas forward and serve in the moments that matter the most for the city. The officers and board of directors dedicate their time and expertise to act on behalf and at the behest of their fellow members by serving as the organization’s governing body. Although they lead companies with global interests, each of our more than 150 members truly understands the importance of engaging with the community in which they and their employees work and live. 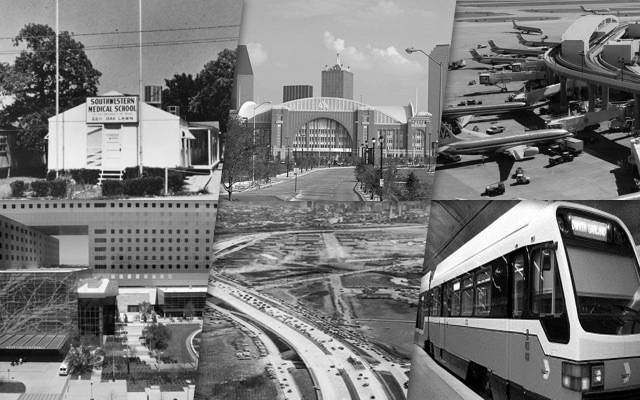 The organization has been a catalyst in Dallas for nearly 80 years, with many remarkable accomplishments impacting the critical policy areas of healthcare, education, water resources, regional transportation, arts, economic development, as well as other areas essential for progress in the area. Founded in 1937, Dallas Citizens Council has a long legacy of furthering the visionary initiatives that have led to significant progress for Dallas. Browse our timeline that highlights many of the significant milestones achieved by the leadership and service of Dallas Citizens Council for the people of Dallas. 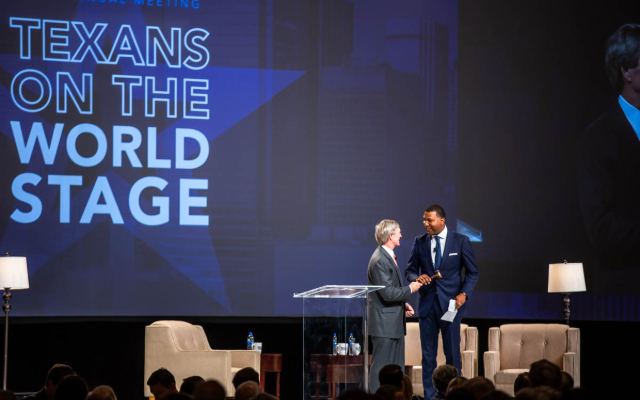 Dallas Citizens Council’s Annual Meeting provides an opportunity to share the policy priorities that are a focus for the organization during the preceding year, plus provides a forum for nationally celebrated leaders to impart insightful wisdom. Funds raised through sponsorships serve the dual purpose of financing substantial projects undertaken by Dallas Citizens Council to build a better Dallas, as well as underwriting costs of the luncheon itself.